A stirring 19 point win by Carlton condemns Sydney to a 06 start to the season. The Carlton win was built on a 10 goal to five second half. Simpson led the way with 31 disposals, including five inside 50s, three clearances as well as eight tackles. Blues InterchangeMatthew Kreuzer off due to an injury. With what might just be the sealer, Kreuzer kicks his second goal of the day to go with his 32 hit outs, 12 disposals, and five tackles. Parker gives the Swans hope late in this last quarter with a miracle soccer goal out of mid air from the stoppage. That was Parker's sixth clearance for the match, a game high. Hayward goals from a strong contested mark inside forward 50. The goal comes from only his second disposal of the day although he has laid four inside forward 50 tackles. Parker leads all players with nine tackles. This disposal differential continues to blow out this quarter with the Blues now leading the count 5318, including being ahead in the contested possession count 20-11 and the uncontested possession count 34-6. Swans InterchangeLuke Parker off due to the blood rule. Blues InterchangeBillie Smedts off due to an injury. Swans InterchangeHeath Grundy off due to an injury. 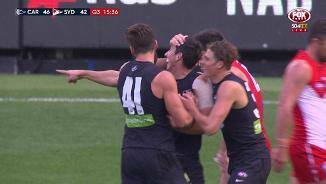 A goal saving tackle by Silvagni as he runs down Jack in the goal square to earn a free kick. Playing on Franklin for most of the day Silvagni has had the better of the contest with four marks to Franklin's two, as well as a match high seven spoils. All set for a blockbuster last quarter as the Blues hold a nine point lead at the last break after kicking five goals to two that quarter. Simpson led the disposal count that quarter with nine, all effective. Parker with the goal assist to Jones as the Swans kick their first goal of the quarter. Jones has had six disposals this quarter, all effective. Kruezer winning the battle of the rucks for the Blues against Sinclair, leading the hit out count 2311. Sinclair however has six hit outs to advantage while Kreuzer only has four. Blues InterchangeJacob Weitering off due to an injury. 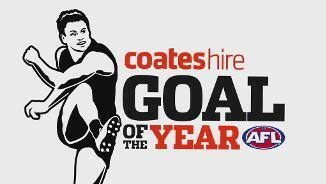 Wright kicks backto-back goals, this time kicking the Blues' second goal from a centre bounce clearance. Carlton leads the centre bounce clearance count 9-5. Swans InterchangeGary Rohan and is possibly out for the game. A stretcher was on the field for Rohan as Wright kicked the fourth goal of the quarter for the Blues. Rohan appears to have been knocked out on landing from a marking contest. The Swans have kicked one behind from only two inside 50s this quarter. A costly mistake by Jones for the Swans who has a free kick reversed in the centre of the ground which results in the Blues going inside forward 50 and Weitering kicking his first goal of the day. Weitering has had 13 disposals, all effective. The Blues have had eight disposals to the Swans nil in the first two minutes and have generated the only three inside forward 50s and two goals. An enthralling low scoring match sees the Swans take an eight point lead into the main break. Docherty with an impressive match high 22 disposals that half at 86 per cent disposal efficiency. Lloyd leads the disposal count for the Swans with 19. 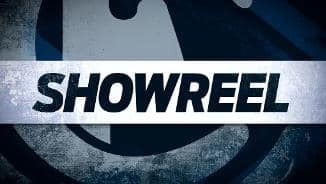 Charlie Curnow gives away a free kick inside forward 50 for the Swans as Heeney takes full advantage with his first goal of the day. Carlton lead the free kick count 86. That was the first kick inside forward 50 for either team. Turnovers are the story of the day so far when it comes to goals as all ten for the match so far have originated from a turnover. On this occasion Marchbank being caught holding the ball in the midfield for the Blues with Papley the ultimate beneficiary. Swans InterchangeWill Hayward off due to an injury. Blues InterchangeLevi Casboult off due to an injury. A mirror image of the earlier goal as Smedts gets his second goal assist of the quarter by spotting Casboult inside forward 50. Murphy doing a lot of heavy lifting for the Blues with quarter high seven disposals to this point. This includes four contested possessions and two tackles. Blues InterchangeJack Silvagni and is possibly out for the game. A Mills clearance for the Swans break a streak of five consecutive clearance for the Blues. The Blues lead the clearance count 147, Gibbs and Ed Curnow for the Blues both with an equal game high of three clearances so far for the match. Casboult with two contested marks inside 50 for the Blues in two minutes, and kicks truly on goal from the second. The Blues lead the marks inside 50 count 52, and contested marks 4-2. Smedts with his first goal assist of the day from five disposals as a short pass sends Simpson inside forward 50 for the first goal of the quarter. The Blues lead the inside 50s count this quarter 52, and across the match 17-12. The Swans are able to transfer the football uninterrupted from defensive 50 to inside forward 50 resulting in the goal to Hannebery. This was the second such chain of the match for the Swans, the first resulting in a score. Despite the low scoring match, both teams are controlling the ball well in hand with both teams going at over 80 per cent disposal efficiency. The Swans have not gone inside forward 50 since their one and only goal of the match at the seven minute mark of the match. The Blues have only gone inside their forward 50 three times since this time though. A Cunningham fumble under no pressure results in a turnover for the Swans at half back on which the Blues capitalise with their first goal of the day. Both goals for the match so far have originated from a turnover. Over seven minutes for the first goal of the match as the Swans are first to hit the scoreboard. Franklin has started in ominous form for the Swans already with an equal high five disposals. The Swans had taken the first eight marks of the match before an Alex Silvagni mark in defensive 50 for the Blues. A free kicked paid off the ball even before the first centre bounce of the day. Casboult sending the Blues deep inside forward 50 however the Swans rebound without too much trouble. Both teams desperate for a win today, sharing only one win between them over the first five rounds of the season. Instability an issue for the Swans so far this year having fielded the most players of any club. Welcome to MCG for the Carlton v Sydney Swans Round 6 clash. 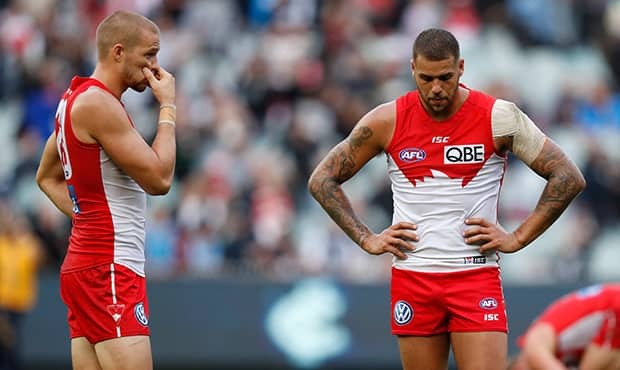 SYDNEY'S dismal start to the season has gone from bad to worse, with the Swans' winless run continuing with a 19-point defeat at the hands of Carlton on Saturday. The Blues' dominant third term saw them set up the 15.7 (97) to 11.12 (78) win at the MCG, leaving a listless Sydney on the bottom of the ladder and continuing to search for its first win of 2017. 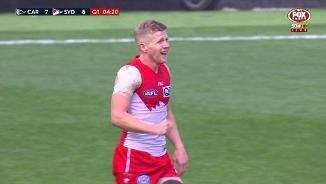 Sydney's shocking beginning to the season also created history, with the Swans becoming the first team ever to start a season 0-6 after playing in the previous year's Grand Final. While the Swans' surprisingly quick drop-off was on show against Carlton, the Blues' signs of growth and excitement were equally as obvious. Youngsters Caleb Marchbank, Sam Petrevski-Seton and Tom Williamson all performed well and stood up at big moments, while Jacob Weitering worked through a corked thigh to have an impact in attack. Matthew Wright's four goals were also match turning in the third term and unheralded Alex Silvagni shut out Lance Franklin across the game. Sam Docherty was brilliant with 39 disposals and plenty of work through the midfield and across half-back, while Patrick Cripps (27 disposals), Marc Murphy and Kade Simpson also lifted in the second half, when Carlton kicked 10 goals to five. 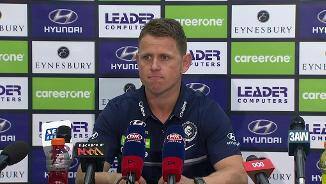 "It's really important for our group that they responded after (last week's loss to Port Adelaide), particularly our third quarter," coach Brendon Bolton said after the game. "We've got guys of strong character, good resolve and resilience, particularly when we've got some youngsters mixed in our list at the moment." Their win may come at a cost, however, with clever forward Jack Silvagni to require scans on his shoulder after a heavy collision on the second term. Sydney was also wounded in its defeat. Gary Rohan, in only his second game of the season, had to leave the field on a stretcher after suffering a concussion following a marking contest. He headed to hospital for scans as a precaution. The incident deepened the Swans' disappointment about their day, which has almost derailed any chance the club has of turning around its fortunes for the season. Jake Lloyd was probably the Swans' most consistent player in the game with 32 disposals, while Luke Parker tried hard (27 disposals, nine tackles) to lift the side. "There's no easy way out of it. You just have to compete a bit harder and when the game's up for grabs in those moments you have to take your opportunities... We're just not doing it at the moment," Swans coach John Longmire said. "You can say your confidence levels are down and this and that, but ultimately you only get that back when you're absolutely working your backside off during the week and you're competing on the weekend. 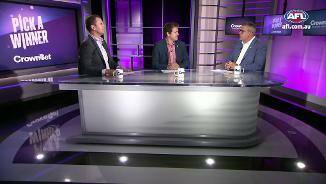 We're just not doing that on anywhere near a consistent enough basis." The Blues didn't always have control, however. It was a scrappy start to the contest but the Swans held an 11-point advantage at the first break. Where Carlton needed to engineer its chances at goal, Sydney's opportunities seemed to come simpler, with Dan Hannebery and Josh Kennedy slotting straightforward running shots to give their side the ascendancy. Carlton begun to clean things up in the second term and thanks to the marking strength of Levi Casboult near goal, the Blues cut the deficit then jumped seven points ahead midway through the term. Sydney steadied to kick the final two goals of the quarter to take an eight-point lead into the main break, but things still felt on even terms. The Swans, like they have all season, just weren't quite seem themselves. They appeared to lack the midfield drive that has sustained their success of recent seasons, while the Blues, thanks largely to their familiar faces, were plucky, committed and in with a chance. A number of other Blues stepped up early in the third term to turn the game their way and make the chance much stronger. Wright's four goals came in the first half of the term, while Weitering also kicked one after dominating play to help the Blues push ahead by 23 points. Wright led Carlton's goalkicking last season after crossing from Adelaide at the end of 2015, and he continues to find ways to hit the scoreboard, with his haul containing clever snaps and converted set-shots. Just as Sydney was staring down the barrel of another loss, it lifted. The Swans booted the last two goals of the quarter to get back within nine points at the final change. Even for this lacklustre Swans line-up, it was close enough to strike. However, that would have required a spark to rise from somewhere, and the Swans' embers were all but extinguished. Goals from Cripps and Matthew Kreuzer early in the final term almost sealed the result, before another young Blue, Charlie Curnow, snapped from the top of the goal square to put his team 27 points ahead. In previous years, the Swans might still not have been written off at that point given the time left at the nine-minute mark. But with this flat outfit, it was more than enough for the Blues to cruise to victory. Carlton: Jack Silvagni copped a heavy knock to the shoulder in the second quarter and was helped from the field. The forward didn't return in the second quarter and will have his right arm assessed this week with scans. 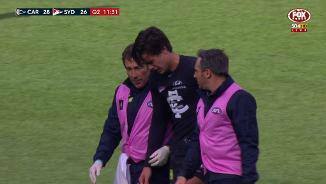 Moments after Silvagni was forced from the field, teammate Levi Casboult received a hit to the head in a ruck contest but he was cleared to play on by club medicos. Jacob Weitering hobbled to the bench with a corked thigh in the third term. 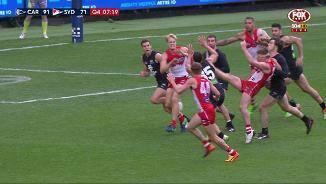 Sydney: Speedy Swan Gary Rohan was concussed after hitting his head on the ground following a marking contest midway through the third term. He was carted off the field on a stretcher and did not feature again in the contest, but the club reported he was awake and talking in the rooms. 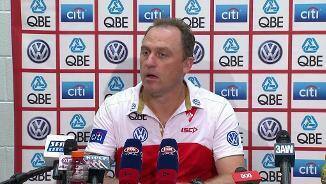 "He's moving okay, he's awake and he's having precautionary scans," coach John Longmire said post-game. Kurt Tippett was a late withdrawal for the clash after suffering a hip injury at training, and the Swans are unsure if he will be fit to play next week. 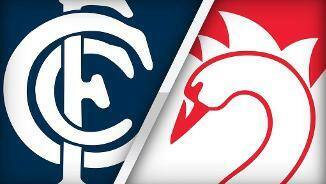 Carlton will go into next week's clash with Collingwood with good confidence following their impressive win. The long-time rivals meet at the MCG on Saturday afternoon. The Swans will look to bounce back against the Brisbane Lions on Sunday at the SCG.